So, in ‘Breakfasts’ it starts with the classic recipe for Crêpes au citron (lemon crêpes), but a few pages further on there’s a recipe for pancakes which Dansereau says you also can thin down to make crêpes, if like him, you have a fussy family where one wants crêpes and the other wants pancakes. There are instructions for how to make fromage blanc (fresh curd cheese) which I remember trying once at a friend’s place. They had their own cow, and the cheese was divine. I don’t know whether I’d get the same results using the milk we can buy here in the city, and it’s not clear whether the recipe would work with homogenised milk. If anyone out there has ever made it, perhaps you could let me know, because although it looks easy it’s takes quite a long time to set, and I wouldn’t want to go to that bother with the wrong sort of milk. When figs are in season, the Marmalade French Toast of Brioche with Figs looks scrumptious, and I like the idea of making a Cognac and Almond Marmalade. There are some interesting breads too: Lemon Bread; and Almond Bread – which took the place of Banana Bread when Cyclone Yasi devastated the banana crop in 2011. These breads look dad easy and so do the Blackberry Bran Muffins. (I make muffins regularly. They are quick to make and much nicer than store bought ones, with half the calories. 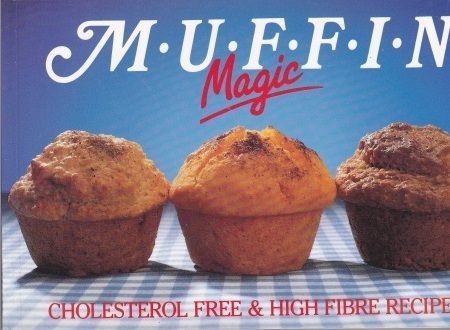 I mostly use a book called Muffin Magic: Cholesterol Free & High Fibre Recipes. One bowl, one mixing spoon, one muffin tin.) There are also some sweet little single-serve Paris-style apple tarts, the ones that have a crisp golden edge of pastry folded over the top with the fans of apple peeping through. And then there’s Oeufs brouilles à la truffe et aux champignons yes, scrambled eggs with truffles, revealing the secret – ah ha! that you’re supposed to infuse the eggs with the truffle first, for four days in a sealed jar. For ‘Lunch’ there are soups: the usual suspects i.e soupe à l’onion grantinée; soupe de pois frais aux herbes du jardin; and so on, but there’s also a Soupe de choux-fleur, which is just cauliflower, butter and a baguette – perfect for family of two when there’s a half cauliflower left over from some other recipe. I also like the look of the Soupe au marrons (chestnut soup) though I confess to wondering if I could cheat and used tinned chestnuts. It’s such a pain to de-husk them! There’s lots of salads which all look very appetising in the full colour photos, of course, and of interest to me was the different kinds of vinaigrette to suit different types of lettuce. Who knew? But it’s the recipe for single-serve Souffle en gruyere (Baked Gruyere Cheese Souffles) that really takes my fancy. I love soufflés, and once you’ve done one, they’re easy. Though there are some fabulous recipes for duck and venison, I’m going to skip through the remaining chapters to brag about my first-ever attempt to bake Madeleines, yes, the ones made famous by Proust when the taste of this sweet biscuit dipped in tea brought back memories of his childhood. (This is a book blog after all!) The recipe is really easy: beat eggs and sugar together till pale and fluffy, slowly beat in plain flour, lemon zest, baking powder and ground almonds, then pour in melted butter. Mix together and then leave in the fridge for a couple of hours. The only tricky bit is the butter, you have to heat it up just till it turns golden brown and tastes nutty, but no longer. The recipe makes far too much dough for one Madeleine tin, so I put the rest in a mini muffin tin which worked just fine. And as you can see, I put way too much flour in the base of the tin for some of them and got it all over the tin as well when I tried to shake it out. But the Madeleines look better when they’re dusted with icing sugar, and – trust me – they taste divine. Yes, they have been taste-tested using the Proustian dunked-in-tea method. And yes, you can cook them in a muffin tin if you don’t have a madeleine tin, it takes about 8-10 minutes, just a smidge longer than the ones in the Madeleine tin. Lovely pictures, Lisa. :) I am not a big fan of cooking, baking… But, my sister is, and I am her guinea pig. ;) Maybe, I can consider gifting this to her. Thank you. I was surprised to find madelaine trays in my local Mitre 10 store! Smart move by your partner to buy you a book that he knew he would personally benefit from as your personal tester. Well, yes, he’s always been the chef chez moi, but now that I’m retired, I’m venturing into the kitchen to do a bit of baking. Yes, as I recall, Lisa bought this lovely book for me. Lovely book but “Australianized”, apparently.That’s great when they adapt recipes to the ingredients you can actually buy. For the record, we don’t eat crêpes for breakfast. Did I understand correctly: there are muffin recipes in a French cook book? I think that many of the breakfast suggestions are adaptations of the breakfasts they serve at their restaurant. ‘Breakfast’ culture here is big, especially at weekends, when families and friends go out to cafés and linger over what in England would more properly be called Brunch, eaten between 10 and 11 in the morning to replace both breakfast and lunch. All over the city you will find people sitting outside in the sunshine, lingering over coffee with the weekend papers and eating meals that are too much trouble to cook at home during the week. 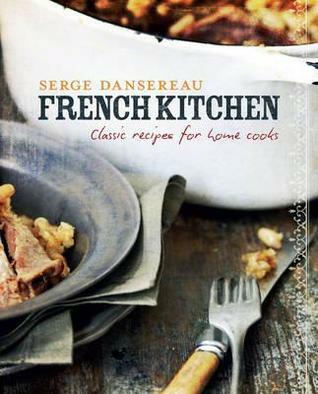 PS My copy of Mastering the Art of French Cooking (which is not Australianised) doesn’t have a recipe for Madeleines!